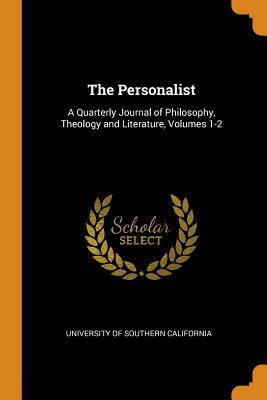 The Personalist: A Quarterly Journal of Philosophy, Theology and Literature, Volumes 1-2 by University Of Southe was published by Franklin Classics Trade Press in October 2018. The ISBN for The Personalist: A Quarterly Journal of Philosophy, Theology and Literature, Volumes 1-2 is 9780344270932. Be the first to review The Personalist: A Quarterly Journal of Philosophy, Theology and Literature, Volumes 1-2! Got a question? No problem! Just click here to ask us about The Personalist: A Quarterly Journal of Philosophy, Theology and Literature, Volumes 1-2.